Many lack sufficient information about what being part of a CIN means. 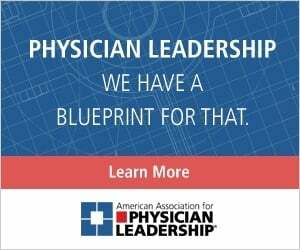 With that in mind, here are 10 considerations for physician leaders when deciding whether to join one. Much has been written about clinically integrated networks and their potential benefits and implications for physician leaders. A rush of mergers and acquisitions, as well as social and political pressures to develop coordinated networks of hospitals, post-acute care facilities and physicians, has led health system executives to invest substantial financial and human capital to set up infrastructure and operating processes that improve value in health care. These organizations intend to be prepared for current and future challenges such as increased regional competition, government regulations and payment reform. If the value proposition of these organizations is articulated and delivered in a genuine patient- and physician-centric way, significant rewards can be gained not only by the health system, but also by its individual physicians. The foundation of health systems’ clinical and financial integration is based on a clearly defined and well-articulated vision, a collaborative physician-led governance structure, a clear demonstration of interdependence in care coordination among health care providers, aligned financial incentives and a robust technology infrastructure. Although there are hundreds of CINs in the United States, they are in different stages of development and generate varying financial returns for their parent health systems. The trend toward consolidation, the focus on cost control and the shift to value-based payment methodologies are likely to continue. As health system executives contemplate the role of CINs in their strategic initiatives, one of the foremost considerations is how to frame and articulate the value proposition for their primary care and specialist physicians. Clinically integrated networks are positioned to leverage providers’ areas of expertise efficiently across the continuum of care to deliver the best quality of care. What is the impetus for primary care physicians and specialists to join a CIN? Are there opportunities that can be unleashed and benefits that can be reaped by stakeholders other than the health system as a whole once a CIN is formed? Many physicians misunderstand or simply lack sufficient information about what being part of a CIN means. Some are concerned that clinical integration removes their independence, that they will lose their ability to care for patients and manage their practices the way they have for a long time. Others wonder who will pay for the infrastructure needed to set up and launch CINs. A few are apprehensive about the time away from their clinical practice and potentially reduced free time outside of work that may be required to participate in governance and clinical committees. Although the time commitment required of some physicians is not trivial, the opportunities for them to chart their own destinies and influence the way care is delivered in their communities — as well as maintain and enhance sustainable professional reimbursement based on demonstrating quality performance — may be significant for primary care and specialist physicians. Embrace social and behavioral connectedness. With increasing adoption of the hospitalist model of care, fewer primary care physicians are rounding at hospitals. As the separation of labor between ambulatory and hospital-based physicians continues to increase, there is little opportunity for primary care physicians to interact with specialist physicians to whom they routinely refer patients, and specialists often aren’t familiar with their referring primary care network. Being part of a CIN provides an opportunity to belong to a defined entity unified around achieving a common vision. Participation also gives physicians a formal way to interact with colleagues and influence health care delivery in their communities while serving on physician-led boards, and quality and clinical integration committees. Practice at the top of your license. CINs are positioned to leverage providers’ areas of expertise efficiently across the continuum of care to deliver the best quality of care. 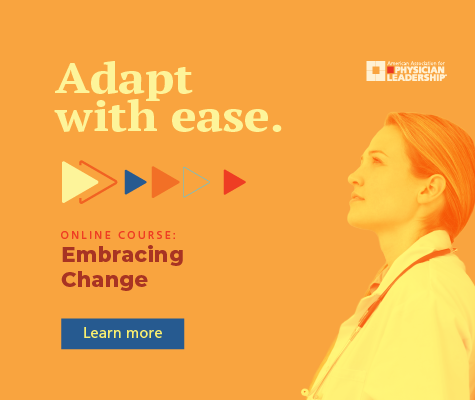 To accomplish this, health care organizations must be focused on having the right clinicians care for patients at the right place and at the right time. Such team-based models of care present an opportunity for highly trained physicians with specialized skills and expertise to oversee the care of the most medically complex patients while their colleagues, such as general practitioners and nonphysician providers, focus on disease prevention, overall health maintenance, comprehensive assessment and treatment. This model has been developed at several well-functioning organizations around the country. While these organizations are likely to operate within an affiliated academic medical center, other visionary subspecialists have opportunities to develop centralized services and protocols to manage patients with less-complex conditions in community hospitals with the help of nonphysician providers. Comprehensive ambulatory congestive heart failure and diabetes clinics heavily supported by care managers are some examples of such initiatives. Similar hub-and-spoke models for clinical integration have been deployed successfully in many organizations across the United States. Specialists: Grow your network. Many practices tie baseline and incentive compensation models for their primary care physicians to patient panel size and attribution. In competitive markets, it is becoming more difficult to grow primary care panel size under favorable risk-bearing arrangements without the support and infrastructure of a clinically and financially integrated organization. In addition, financial gainsharing is usually proportional to the number of “covered lives” that a primary care physician is responsible for (both in terms of quality as well as cost efficiency). By joining CINs, specialists benefit from defraying costs and efforts related to successful marketing and promotion of their expertise. Improve access to care. For PCPs, being part of a CIN provides opportunities to collaborate and share access to after-hours clinics and health system-owned urgent-care centers, as well as take part in pre-existing relationships with the network of social workers, care managers and other nonphysician providers who positively influence social determinants of health. Specialists might consider it a welcome change that, as a CIN strives to ensure they practice at the top of their license, patient access might improve. In this model, super-specialists focus on caring for patients who need their specific skills instead of having their schedules filled with less-complex patients who can access less-intensive care elsewhere within the network. Organizations often erroneously try to fix patient access challenges by increasing the supply of available appointments by recruiting more physician staff. Although labor shortages do exist in some specialty areas, it’s more common that the cause of an access bottleneck is the mismatch between the diagnostic evaluation and treatment a particular patient requires and the appropriate skill set a clinician can offer. CINs are positioned to provide necessary clinical leadership, governance and infrastructure support to improve patient access and service quality by using technology and the entire continuum-of-care workflow redesign to better manage demand and capacity as well as improve patient and clinician satisfaction. Define meaningful quality measures. The Centers for Medicare & Medicaid Services, commercial payers, providers and influential health care economists frequently talk about developing quality measures that are meaningful to patients. Most of the measures we define as “quality” simply track physician compliance with evidence-based practice guidelines rather than true improvement in outcomes. Improvement in patients’ functional status, quality of life and patient-reported outcomes are not consistently tracked. Joining a CIN (and driving its development as a clinician-leader) is an opportunity for PCPs and specialists to define what matters to patients. Drive clinical protocols. As CINs take on financial risk in responding to various CMS mandates, specialists can play a unique role in setting the course for how certain disease states and procedures ought to be managed from the perspective of patient safety, quality and cost efficiency. In turn, primary care physicians have an opportunity to define appropriate care management, transitions in care, and the overall holistic approach to care for populations across the continuum. This is crucial because, often, it’s during the transition of a patient from one care setting to another that poorly coordinated handoffs lead to medication complications, readmissions, unnecessary use of diagnostics and other preventable adverse outcomes that a CIN and its providers can effectively address. Share financial rewards. Traditionally, primary care physicians carried the burden of providing care to their patients beyond regular office visits without adequately getting reimbursed for the time and effort spent on such care coordination as readmission reduction, home care and psychosocial support. CINs built on eight domains of population health management provide an opportunity for primary care physicians to be rewarded for those activities. GE Healthcare Camden Group defines those eight domains as finance and payer contracting, care model redesign, health information and technology and data analytics, quality and outcomes, leadership and governance, network and access, patient engagement, and transformational strategy. Although value-based care has not yet affected subspecialists’ income to the same degree as it has that of primary care physicians, progressive specialists can reduce unnecessary costs along the continuum as well as partner with their primary care colleagues to improve performance along relevant quality measures at all points of care. Strategically, this is an opportunity for specialists to embrace value-based care and define how risk-sharing arrangements are implemented. Receive assistance with administrative burden. By joining a CIN, physicians gain significant administrative relief from the burden of complying with federal and other regulations. Management service organization functions can be centralized without negative impact on local control. On behalf of their providers, CINs also work toward unified health information exchange and performance reporting. Specialists are poised to benefit from easier in-network referrals and more-efficient data transfer from referring PCPs. Data aggregation, analytic capabilities, actionable reporting and increased transparency all lead to individual physicians’ enhanced market positioning, reputation, reduction in unnecessary tests and procedures, and overall more appropriate and efficient patient care. Cut out waste. CINs provide an opportunity for PCPs and specialists to work together to reduce unnecessary waste. By working as part of an organized system, physicians can combine their clinical experience and resources to manage patient populations across the continuum of care, use care management capabilities in the best ways, and evaluate and assist the CIN leadership in negotiating with technology vendors to demonstrate results that are truly meaningful to their patients. Become a market leader. We are living in a time when transparency plays an ever-increasing role. Patients and consumers are researching their providers on the internet, using general websites such as Yelp, Healthgrades and others. Patients are using health plan and proprietary health system-specific landing pages to learn as much as possible about clinicians they see. And CMS launched the Physician Compare website as part of its MACRA initiative. This presents an opportunity for primary care physicians and specialists to showcase themselves as leaders who embrace efforts to improve quality and experience of care, enhance care coordination and welcome accountability for the cost and well-being of populations. Mark Krivopal, MD, MBA, is vice president of GE Healthcare Camden Group, a health care consulting firm, and based in Boston, Massachusetts. AAPL originally published this article in April 2017.